This number was inspired by an awesome side dish, my sisters “cheesy potato” recipe, on a I-dont-feel-like-cooking kind of day. 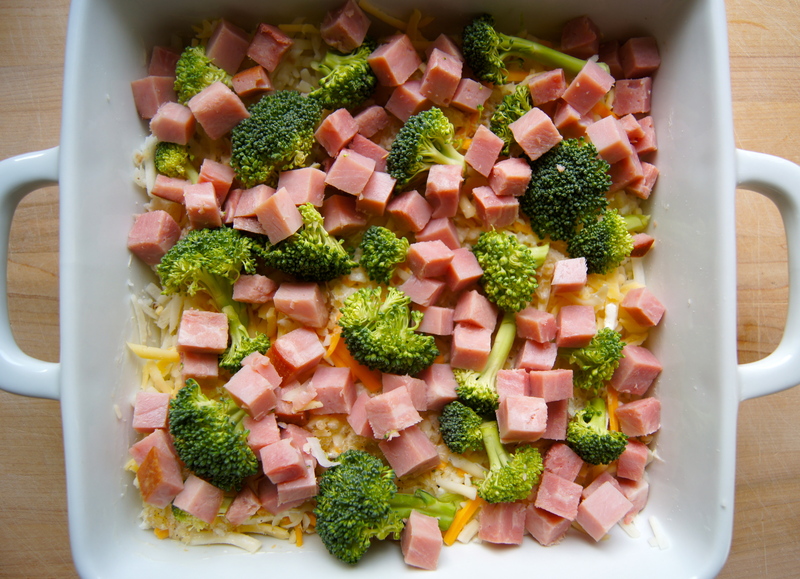 Because, well, sometimes we need an easy side dish to turn into a complete meal. It’s quite possibly the most effortless dinner to put together in the entire universe and my family goes nuts for it. 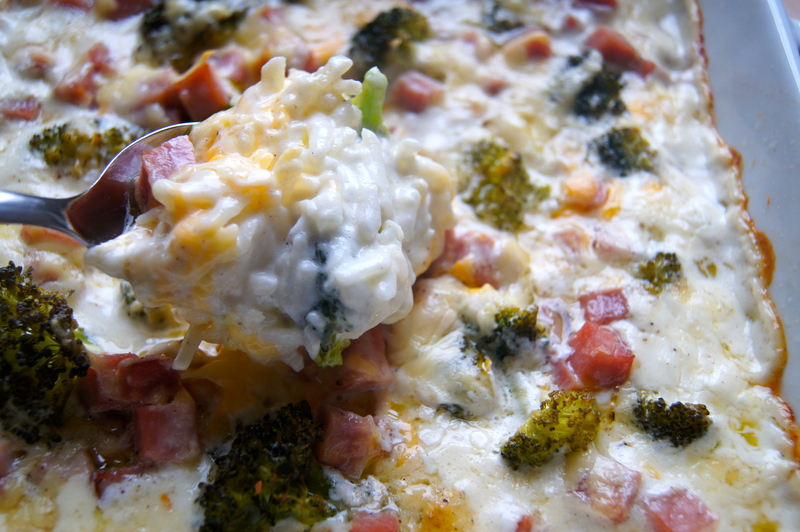 Cheesy, gooey, comfort mania, right here folks. 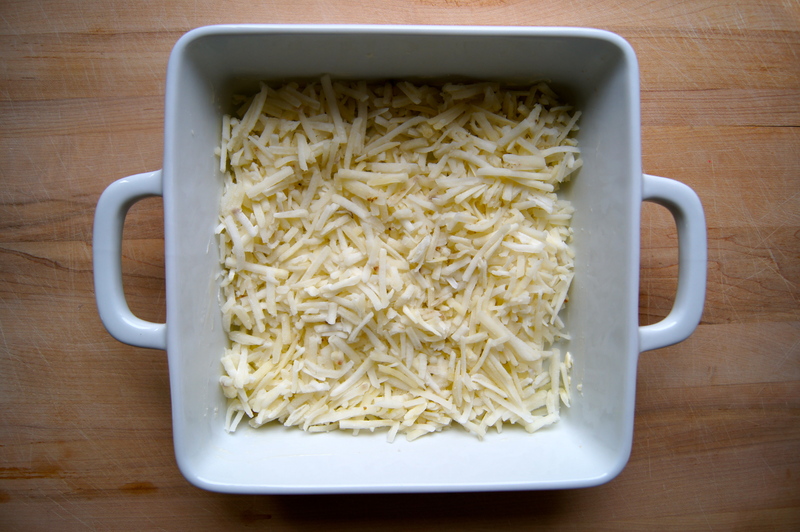 Preheat oven to 350 and grease an 8×8 or 9×9 baking dish with butter. 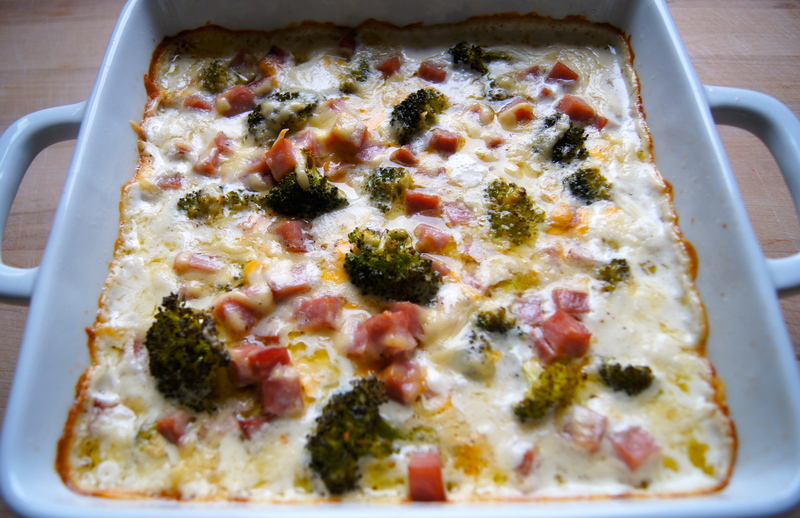 In a medium bowl stir together the cream, butter, salt, pepper, onion powder, garlic powder and nutmeg. 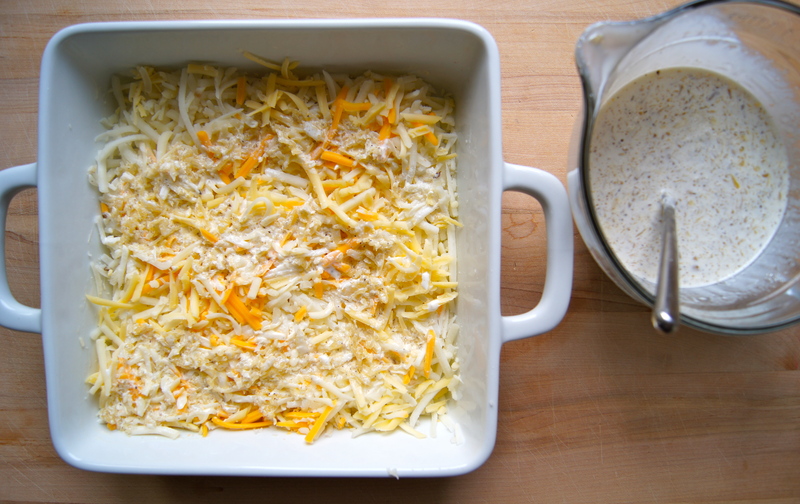 Place the frozen potatoes at the bottom of the baking dish, top with 1 cup cheese and pour 1/2 of the cream mixture over the top. 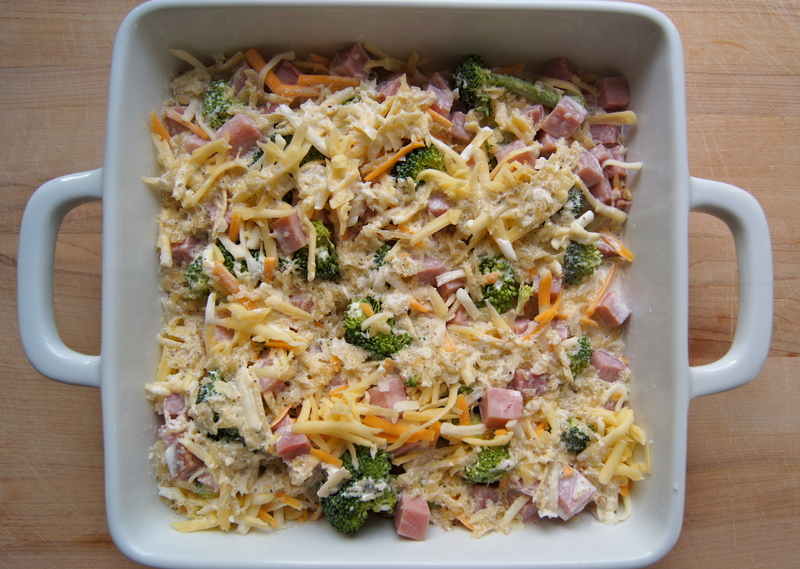 Next, scatter the broccoli and ham and top with the remaining 1 cup of cheese and cream mixture. Bake, covered, for 45 minutes. Remove the cover and bake for an additional 15 minutes or until the top is bubbly and beginning to brown. Serves 4-6.